The best of mammal life can be found at the Shedd Aquarium. The best thespians can be found at the Chicago Theatre. The best Chicago-style hot dog can be found at Wrigley Field. Not bad for a windy city. Between Chicago’s unsurpassed cuisine (many of the top 100 restaurants in the country are found here! 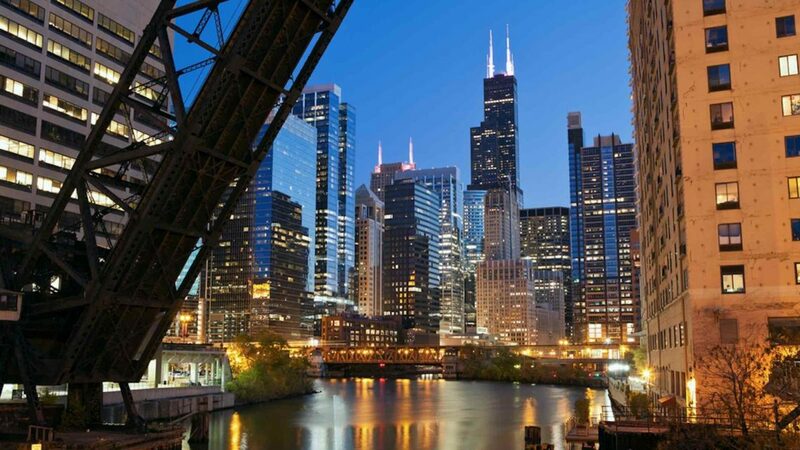 ), countless attractions and entertainment, and the Chicago Symphony Orchestra, Chicago literally blows other U.S. cities out of the water with things to do. Visitors of all ages will experience anything but a dull moment in Chicago. 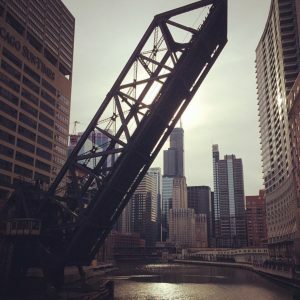 From the city’s attractions to its food and activities on Lake Michigan, finding things to do in the Windy City is a breeze. Equally breezy is a good night’s rest, if only for a few hours in between sightseeing. IHG, the powerhouse behind Holiday Inn, InterContinental, Hotel Indigo, Kimpton Hotels, and other brands, offers stays in Chicago at rates that fit the budgets of all types of travelers. In addition to a cozy bed and a clean room, you might be pleasantly surprised at what these five unique Chicago hotels have to offer. Located at 350 W Wolf Point Plaza in downtown Chicago, the Holiday Inn Chicago Mart Plaza Hotel proves that just because a hotel is deemed inexpensive doesn’t mean the property has to look like it. This hotel is perfect for Chicago first-timers who want to see it all in a matter of days. It’s close to the Magnificent Mile, Navy Pier, Millennium Park, and Merchandise Mart. Holiday Inn Chicago Mart Plaza Hotel’s skywalk makes getting around a piece of cake — or a slice of pizza, preferably Chicago deep dish! You can’t visit Chicago without eating your way through it. While hotel dining is probably not on a foodie’s to do list, the Hotel Palomar’s Sable Kitchen & Bar should be. Located at 505 North State Street, Kimpton’s Hotel Palomar is home to the River North area’s gathering place for lovers of seafood, sliders, and signature cocktails. Try the Fools in Paradise cocktail, where bourbon, brandy, lemon, and other ingredients join forces to help make Sable Kitchen and Bar a Chi-town force to be reckoned with. When the nightlife winds down, keep the party going as you retreat to 506 West Harrison Street’s Holiday Inn Hotel & Suites Chicago-Downtown, and dance to a tune from its jukebox. Of course, a hotel in the heart of Chicago has other impressive offerings besides the musical staple of the ’50s. The Holiday Inn has a great location near the Willis Tower and Museum Campus. But why wouldn’t you get excited about finding a jukebox in a budget-friendly hotel? InterContinental Chicago Magnificent Mile is known as the Jewel of Magnificent Mile, and the property’s ballrooms are the highlight. For a Roaring Twenties history lesson outside a classroom, make your way to 505 North Michigan Avenue. Bonus hotel sighting: there’s a heated Olympic-sized pool which has been recently renovated. It’s been receiving rave reviews for years! Take in Downtown Chicago anywhere you’d like, when you make a reservation at the Crowne Plaza Metro Downtown. Located in Greek Town at 733 West Madison, Crowne Plaza Metro Downtown gives all guests a level playing field with views that don’t disappoint. Thanks to this all-balcony property, guests no longer have to choose between a room with a just view and a room with an experience. While there are lots to see in Chicago, there is always lots to do. Before the end of summer, start with the free concerts. Later on, usually around the 4th of July, taste some of the best ribs north of the Mississippi at the Windy City Ribfest. For a $5 donation, your family can spend an entire weekend comparing slabs of meat from local and nationally-recognized chefs, getting creative in the arts and crafts area, or just enjoy the sounds of music and comedy throughout the North Side section of Chicago. More tasting can be found at the Taste of Chicago, with the Roots (of The Tonight Show) performing at the annual Grant Park festival. For those looking from a short break from metro life, take the family for a two-hour drive outside the city to Starved Rock State Park, for boating and hiking. 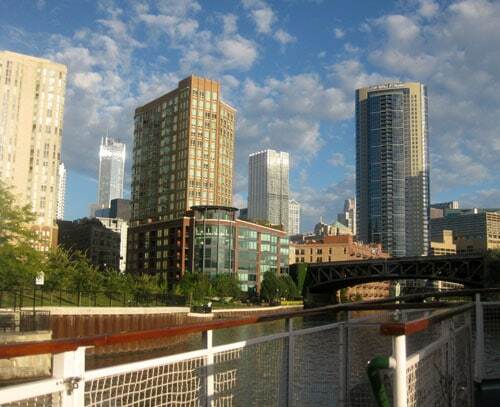 Then put the kids to bed once you return to Chicago and take in a wine sampling while cruising the Chicago shorelines. Visit the windy city without being blown away financially with these great Chicago hotel tips. Travelers in the know rely on IHG for a variety of hotel stays. For a Chicago getaway where the bank doesn’t travel with you, check into Holiday Inn or InterContinental, or choose from the many other IHG properties in Chicago. This post contains affiliate links, which means that if you click on some of the links in this post and purchase something, I might receive a commission. This is a good thing! There is no additional cost to you and I make a tiny bit of money to help fund this website! This post made me so excited about my upcoming Chicago trip! Enjoy and thanks for reading, Amanda!